The Wright Wreport: NYFF54 DAY 10: In 'Restless Creature,' a Brilliant Career Stops, Then Pivots in Another Direction. Meanwhile, in 'Uncle Howard,' a Life and Brilliant Career End Far Too Soon. NYFF54 DAY 10: In 'Restless Creature,' a Brilliant Career Stops, Then Pivots in Another Direction. Meanwhile, in 'Uncle Howard,' a Life and Brilliant Career End Far Too Soon. 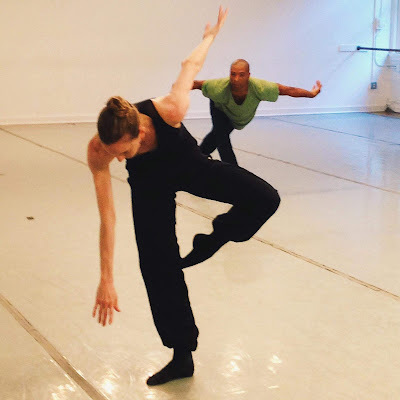 Wendy Whelan in rehearsal in a scene from "Restless Creature." Photo from "Restless Creature" Facebook page. One of the most painful episodes in life is to witness a world-class athlete who stubbornly continues in his or her sport after it is clear that the best days have come and gone. Another nearly unbearable circumstance to observe is a great talent be extinguished by disease and death. These are the concerns - and yet so much more - of two very different and utterly engaging documentaries, "Restless Creature: Wendy Whelan" and "Uncle Howard." Their subjects are the New York City Ballet prima ballerina of the title and the director, Howard Brookner, respectively. From directors Linda Safire, Adam Schlesinger ("Restless Creature") and Aaron Brookner, both have their 54th New York Film Festival premiere today. Visit http://www.filmlinc.com to learn more about the 54th New York Film Festival, including showtimes and venues.